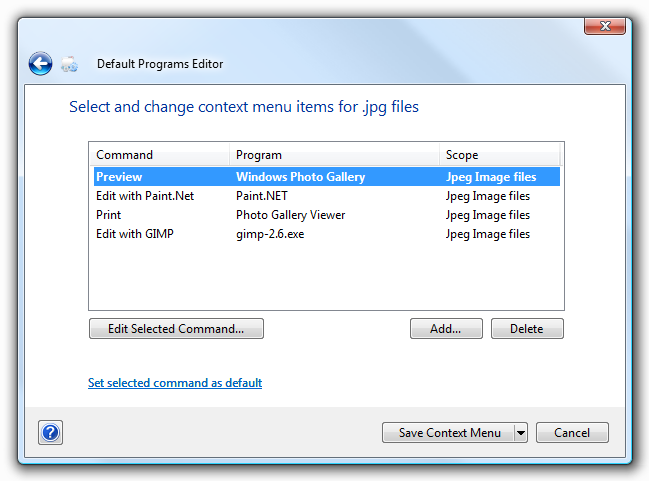 Default Programs Editor is a powerful but simple file association utility for Windows. 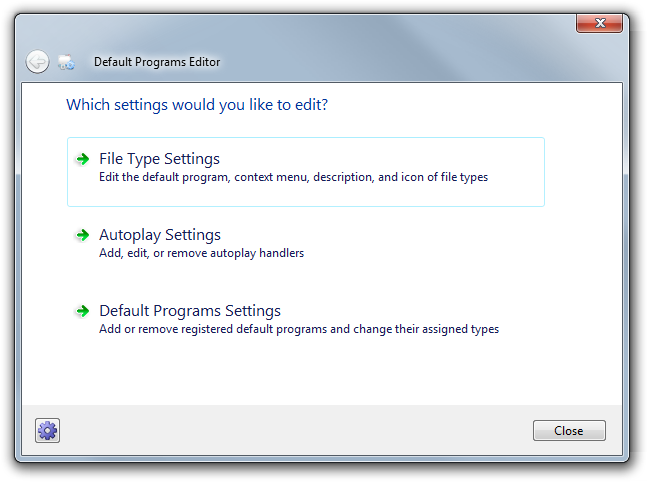 Default Programs Editor was originally completely closed source freeware. However, I am beginning to release its components in stages as their own open source projects. The first to be available are the UI portions, Aero.Wizard and Aero.Controls.